Trenton, Maine, has an approximate population of 1,481 (per year 2010 census) and covers 12,529 acres (28.39 sq miles). It is the last town you will drive through on Route 3 just before crossing onto Mount Desert Island. There is a large general store, ample camping facilities, an airport and car rental services. If you choose, there are also several locations (during season) at which you may purchase the Maine Lobster and steamer clams for a succulent feast before entering the park. Most places have indoor and outdoor eating areas. 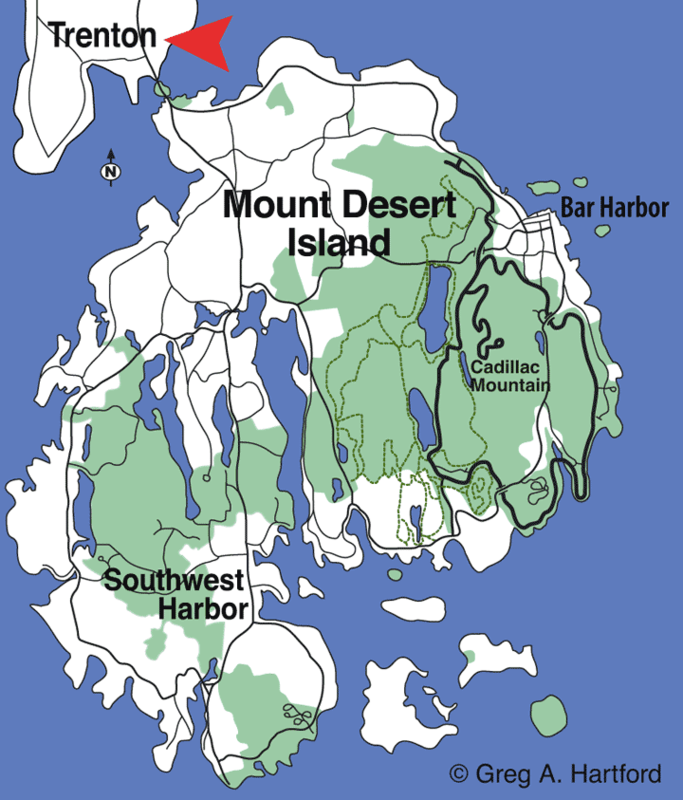 My family would make their selections, have them cooked, and drive the short distance to the Acadia National Park picnic area on the small Thompson Island, between the mainland and Mount Desert Island. This is a nice quiet place with a large field for family gatherings and play. Like many of the communities in Down East Maine, Trenton has a long history of ship building, lumbering, and fishing, especially for the world-famous, Maine Lobster. (View Gouldsboro History) All of Maine was once part of Massachusetts. 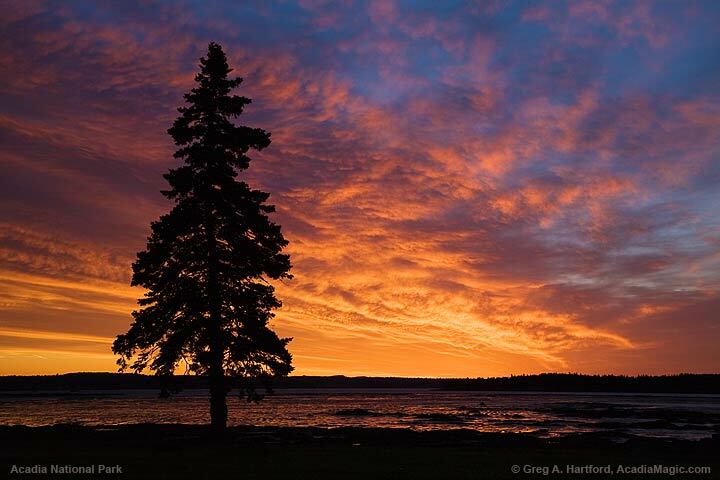 Before this, the Acadia Region (in which this was part of) was considered for a time to be part of "New France" after it was charted by Samuel de Champlain in 1604. The town was incorporated in 1789 and is part of coastal Hancock County. It was named in recognition of General George Washington's epic and successful battle on the morning of December 26, 1776 in Trenton, New Jersey that greatly improved the morale of our country's militia. There are several places of note along Route 3 including the Hancock County - Bar Harbor Airport. The Great Maine Lumberjack Show (as seen on ESPN) is on Route 3 as well. Participate by cheering on your favorite team of lumberjacks during evening shows featuring chopping, sawing, log rolling, speed climbing and much more. 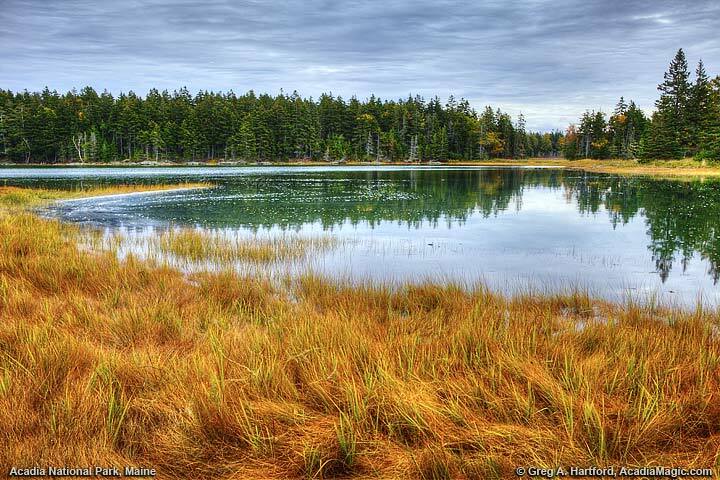 The 35 acre Acadia Zoological Park, a preserve of native and exotic species including buffalo, moose and caribou, is on the left side as you drive toward the island. For the younger kids, there is a petting zoo. Most of the businesses along Route 3 tap into the local tourism traffic in some way and so, are seasonal by nature. As a side note, the most famous lumberjack of all, Paul Bunyan, was recognized with a 31 foot high statue next to Main Street and the Civic Center in Bangor, Maine. If you are passing though Bangor on the way here, the kids might like having their photos taken next to Paul Bunyan. The 395 bypass goes right by it. For those wishing to park and leave the driving on the island to someone else, free transportation is provided via Island Explorer Shuttle Buses - clean propane-powered vehicles supported by the National Park Service, area towns, the US DOT, Maine DOT, local businesses, and Friends of Acadia. 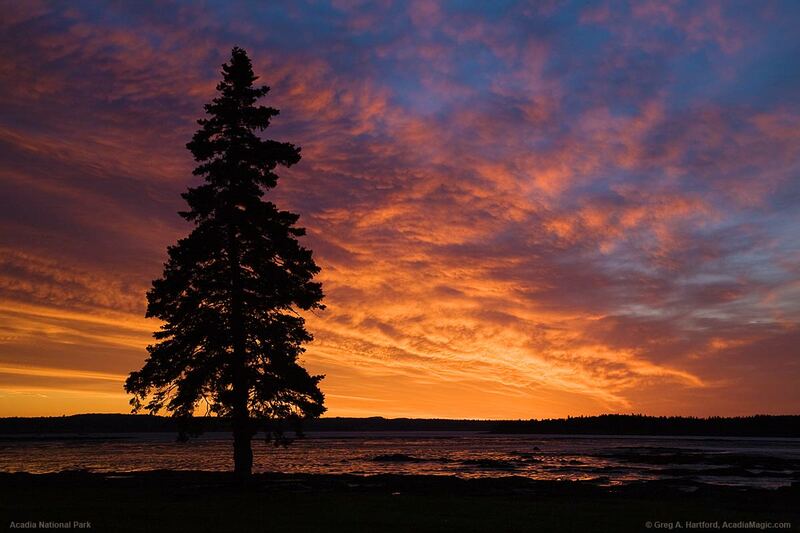 There are 7 bus routes linking inns, hotels, campgrounds and destinations within Acadia National Park and elsewhere on the island. You may park your vehicle and board one of the buses at the new Acadia Gateway Center. A large construction project has begun on a new Acadia Gateway Center on the western side of Route 3 in Trenton that will eventually include not only Park information, but have personnel from the various Chambers of Commerce to answer questions and promote each of their Chamber member's interests as well. Once this large project is finished, the National Park Service hopes that more people will choose to leave their vehicles here and take advantage of the free Island Explorer Shuttle Service from this location. With the recent completion of Phase One of the project, Shuttle Buses are using this location as a pick-up and drop-off point. Visit Island Explorer Shuttle Bus website to see their routes. 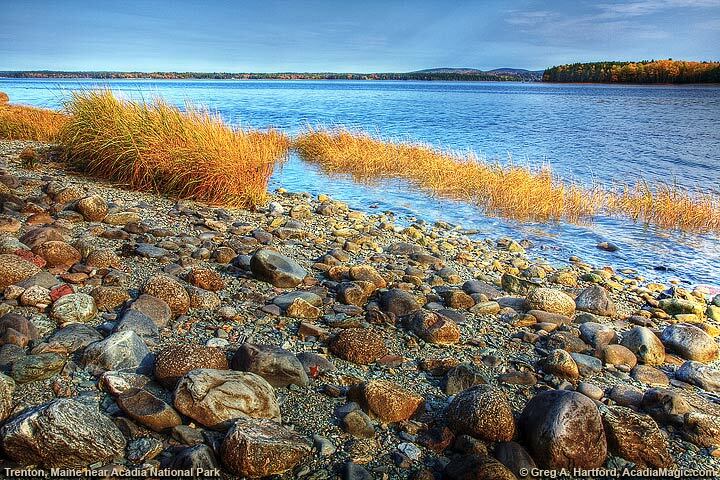 I suppose that it is true to say that my very first experience in Acadia National Park took place in Trenton, Maine. To be more exact, it was having a family picnic on Thompson Island which sits between the mainland and Mount Desert Island. Route 3 goes right though Trenton on its way to MDI and Bar Harbor. By the time my family got to the coast from central Maine, we were ready to eat, and eat we did. There are a variety of places beside Route 3 in Trenton to purchase seafood. There are also some interesting businesses tailor made for the visitor such as getting to see what the area looks like from a plane. Look for this on the left as you are heading south. Keep in mind that Trenton has many excellent vacation rentals and motels so be sure to check out what is available. All Rights Are Retained by the Copyright and Trademark Owner. All other copyrights and trademarks are reserved by their respective holders.